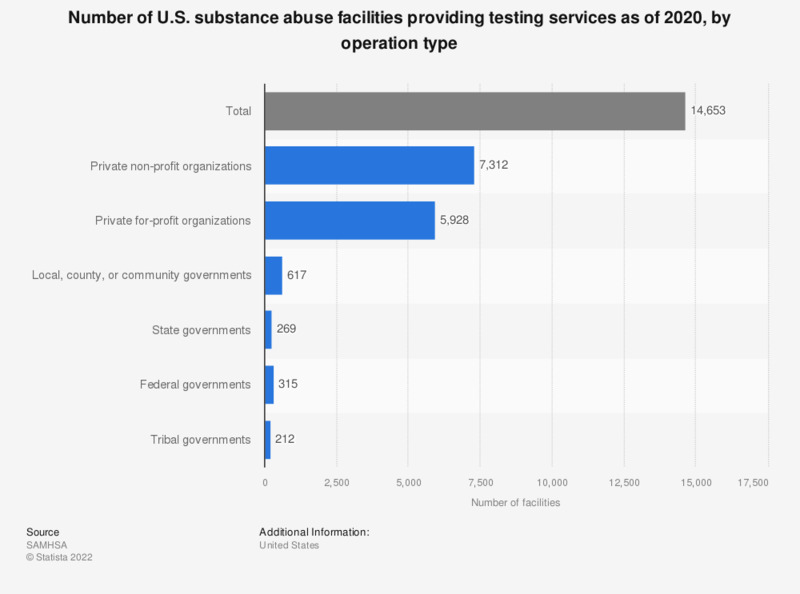 This statistic displays the number of substance abuse treatment facilities in the United States that perform testing services by operation type, as of 2017. There were 591 local, county, or community government run substance abuse treatment facilities that offered testing services. Substance abuse treatment and rehabilitation in the U.S.
Everything On "Substance abuse treatment and rehabilitation in the U.S." in One Document: Edited and Divided into Handy Chapters. Including Detailed References. Statistics on "Substance abuse treatment and rehabilitation in the U.S."
Opioid epidemic in the U.S.
Why not Treat Urine like Blood?